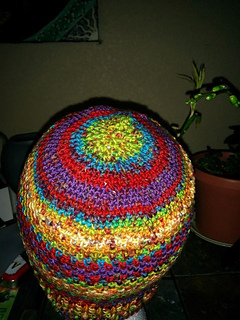 Althea is crocheted from the brim up, in a beautiful color changing/self striping yarn that is easily obtained from your local craft store (I bought mine at JoAnn Fabrics) at minimal expense. 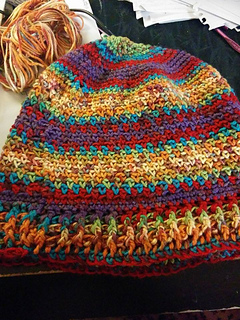 You can use pricier yarns for this, but it isn’t necessary - as the result with the Deborah Norville yarn is really quite lovely. 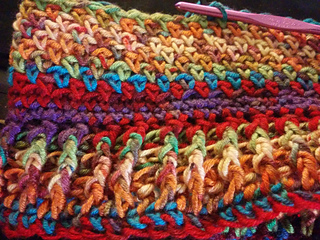 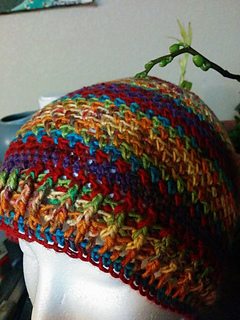 The crochet linen stitch is simple, but is a great stitch for highlighting the beauty of multicolored yarns. 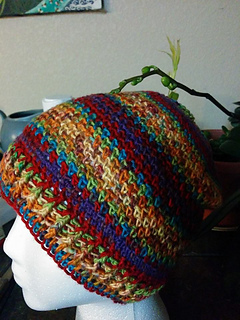 This pattern is intended for advanced beginner crocheters and up, video tutorials for front and back post double crochet stitches are linked in the pattern.